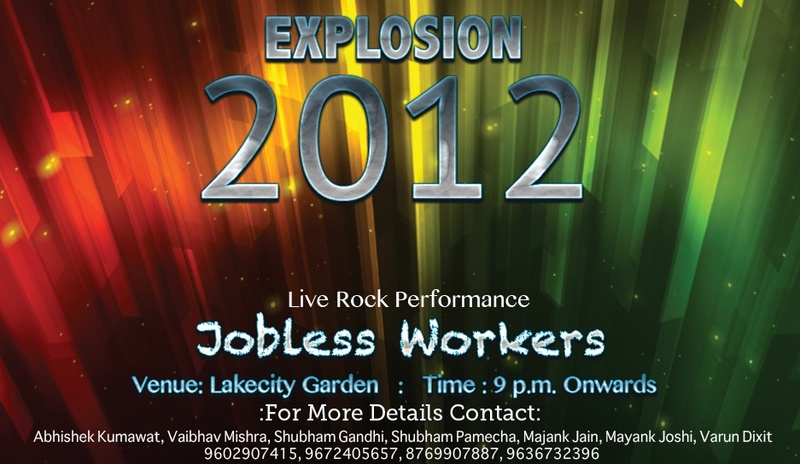 Celebrate your new year with EXPLOSION 0’12 organized at Lake City Garden, Thokar choraha. Techno India NJR & Xplozzers present this joyful night for the youth of Udaipur. Let’s rock on the open dance floor with enthralling light and sound in heart of Udaipur City. Enjoy heart thumping DJ music, open-air disco, exciting activities and delicious food at extremely affordable rates.